With the web rife with DJs and labels announcing their nominations for this year’s IDMA awards in Miami, one of those nominated in the category of 'Best Breakthrough DJ' was DJ/producer Hardwell. The nomination reflects Hardwell’s popularity in today’s scene which has gained in popularity, especially in the US last year. Hardwell has a residency lined up this year at the world-famous Las Vegas club Marquee and will be touring US this month for his Spaceman Tour with 10 gigs in 10 days. Last year, 24-year old Hardwell entered the renowned popularity poll DJ Mag Top 100 as the highest Dutchman, at number #24. In 2010 and 2011, Hardwell had international success with his collaborations with Tiësto and Chuckie, as well as remixes for the likes of Taio Cruz, Armin van Buuren and Martin Solveig. His new track ‘Spaceman’, has just been released worldwide and reached #2 in the Beatport charts. 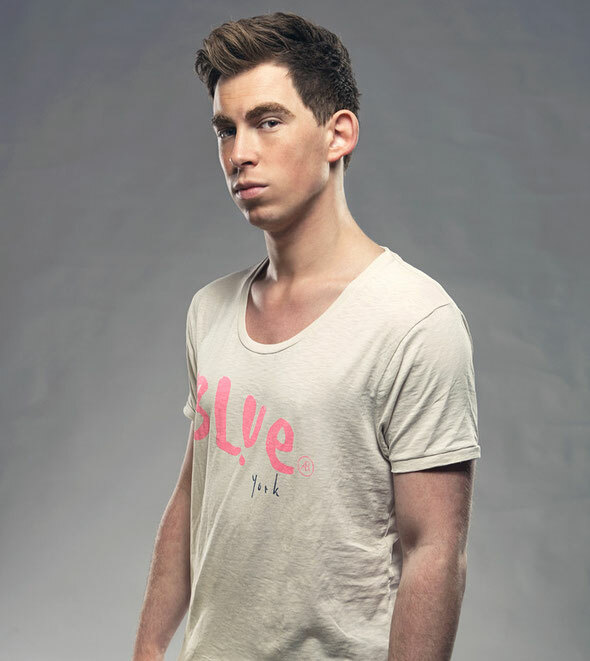 Robbert van de Corput, better known as Hardwell, has been busy creating music since the age of six. When he turned 13 he started his DJ career, signing his first record deal only a year later. After making his name as a DJ, he scored his first hit in 2008 with ‘Never Knew Love’. In 2009, his international breakthrough was when his ‘Show Me Love vs. Be’ bootleg of the Robin S. classic and Steve Angello & Laidback Luke track smashed the charts. Hardwell toured the entire globe in 2011 and was invited to play at both his American tour as well as several Privilege Ibiza residency nights for Tiësto. He started his very own, weekly radio show in 2011 called ‘Hardwell On Air’ on SLAM! FM and US station Sirius XM. In March 2010, the young talent joined forces with Cloud 9 Music to set up his very own Revealed Recordings. Now, after 18 months, Revealed is recognised as one of the most popular labels in the progressive house scene. Voting closes March 1st 2012. The International Dance Music Awards show will take place on March 22nd 2012 in Miami, USA.